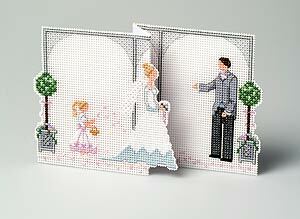 Here is a wedding card for a very special couple. The bride approaches her groom, who stands to welcome her, and a little flower girl throws rose petals from her basket. Card stands 11 cms high.